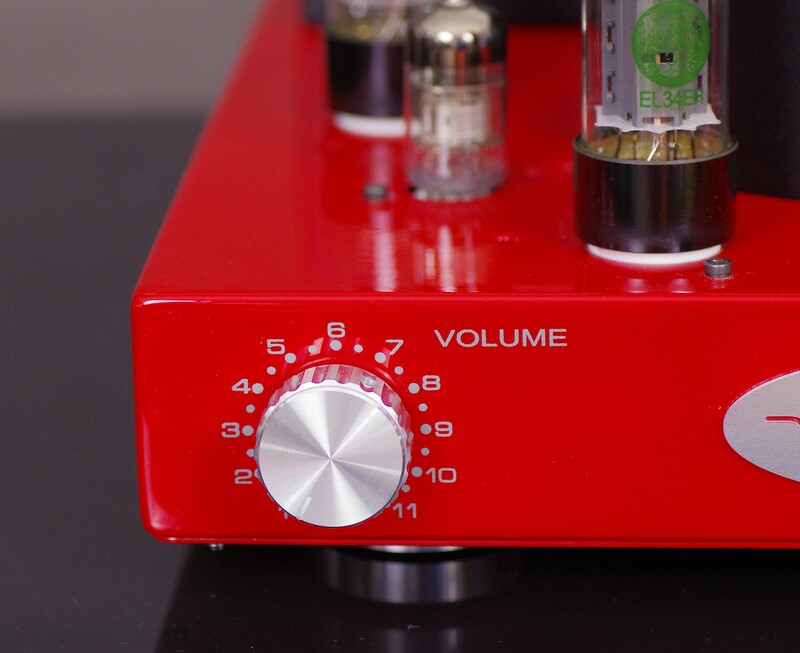 At a time when audio equipment moved on into the category of luxury products and its prices sky-rocketed, it is still, fortunately, possible to find some true, reasonably priced gems for “normal” people. Not so long ago, a nice, well-made product appeared on the market, one fabricated in Europe and made available for a price which was “ridiculously low” as compared to competitors’ prices. 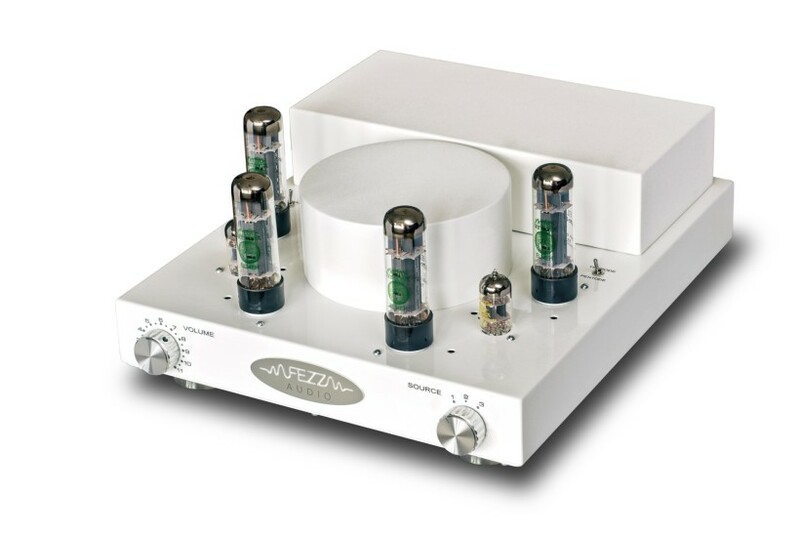 Im talking about the Polish tube amplifier of the Fezz Audio brand, one which appeared “out of nowhere” end of last year and made quite a lot of fuzz on the market. This time we received the new, upgraded version of this amplifier called Silver Luna Prestige.Without any further ado let me introduce a WORLD PREMIERE review of this device. During last year’s Audio Video Show in Warsaw, time and again, you could see almost identical scenes in one of the rooms, where people stood in front of the Fezz Audio Silver Luna amplifier, scratching their heads and discussing how was it at all possible that an amplifier with such looks cost barely 4,000PLN (~ < 999 USD). 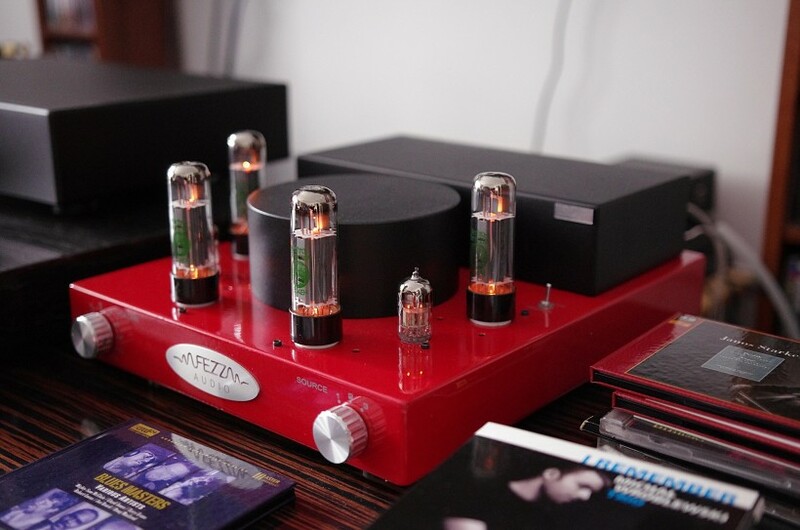 Yes, I do realize, that for people who are not acquainted with the audio market reality, this amount may seem not quite so small, but it suffice to look around, check out the prices of audio equipment that is available on the market, so as to realize that this is a true rarity. 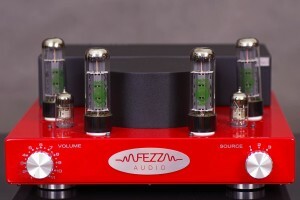 The purchase of a tube amplifier produced in Europe for this kind of money is almost impossible. Whats more, as the amplifier could, during this Show, actually also be listened to, even under far from optimal conditions of an exhibition room, the disbelief only grew. 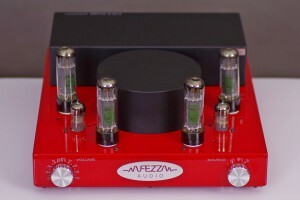 Among the comments that I happened to hear were statements like: “This is certainly made in China … ” or “They are using dumping pricing so as to elbow their way into the market.” Representatives of the company patiently explained that this amplifier was created in Poland and that they did not plan to change the prices in the near future. As far as I understand, the price of 3.999 PLN still holds and is still valid even today, which provides the answer to the second of aforementioned suggestions. As to the issue of why such a price is at all possible to achieve, at least to a certain extent could be explained by the fact who are the people behind the brand. It is in fact a well known company, both in Poland and in multiple countries around the world, called Toroidy, a company ran by the Lachowski family, by the father Lech and two of his sons, Matthias (Maciej) and Thomas (Tomek). As the name suggests, they are producers of toroidal transformers. It is their power transformers and, for quite some time now, their output speaker transformers (also toroidal!) 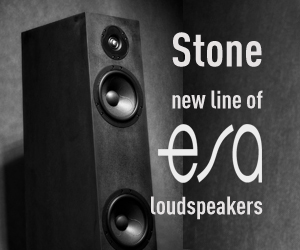 which are most widely known and respected among both DIY enthusiasts as well as well renown audio companies. 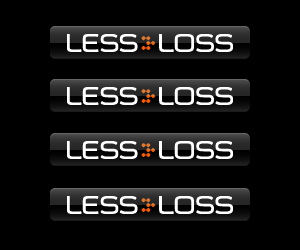 These may be found inside products of companies such as Baltlab, Lampizator, Ancient Audio, Amare Musica, or even Mytek, so basically in both, very reasonably priced units, as well as in the high-end ones. 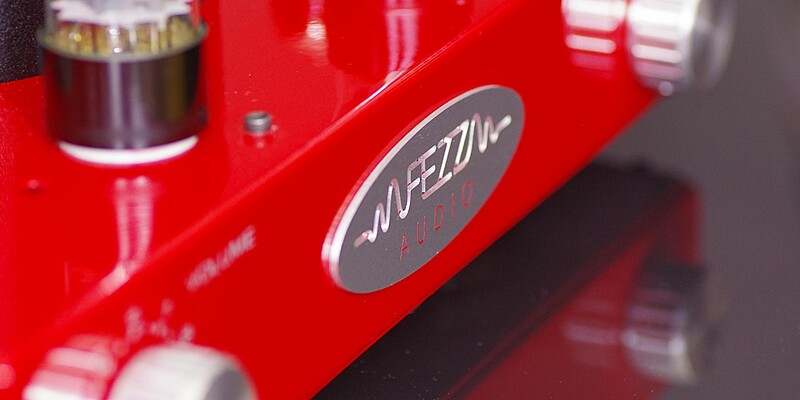 The company also manufactures enclosures for audio equipment, and in addition thereto, it has its own paint shop. So I think that the emergence of devices that use their own components – transformers and enclosures, which proved their class when used in products of other brands – was only a matter of time (I guess it was a question of finding time by Lachowski guy to address this topic). For those of you who have the slightest bit of experience with vacuum tube devices, it is needless to explain how important role does the output transformer play in obtaining a high quality sound. It is not without a reason that many top, global companies winds their transformers all by themselves, or have them made by dedicated professionals, albeit paying the significant price associated therewith and suffering from really big subassembly costs. 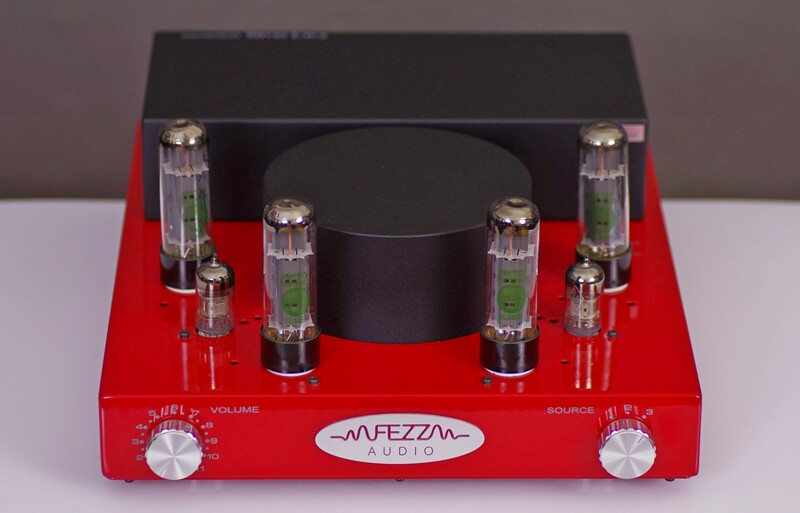 But Fezz Audio does not need to outsource the production of their transformers to anyone, and the idea of building their own amplifiers arose at a time when the product portfolio was extended by a series of very rarely produced speaker output transformers, ones based on toroidal cores. Their production is extremely difficult, so in spite of the advantages that they offer over traditional transformers, such as a much broader bandwidth, they are generally very rarely used. The Lachowskis have decided to prove that a Pole can do it, so they fiercely jumped into the matter and invented a method of how to properly produce such output transformers, for each and every vacuum tube type. Since then, it was only but one small step to their practical application. The more so that they did not need to purchase chassis from other companies, and in addition they could afford to offer attractive color schemes, without incurring higher production costs. Q.E.D. (quod erat demonstrandum, ed.). Here’s the answer to the question, how is it possible that with production located in Poland, one can offer such an attractive price. On the essential subassemblies of the amplifier (or at least on some of them) external companies need not make a profit. And the manufacturer has refrained himself from a temptation to add a huge mark-up to the sales price, as is so often the case on this market. Within the time span of just less than a year (i.e. 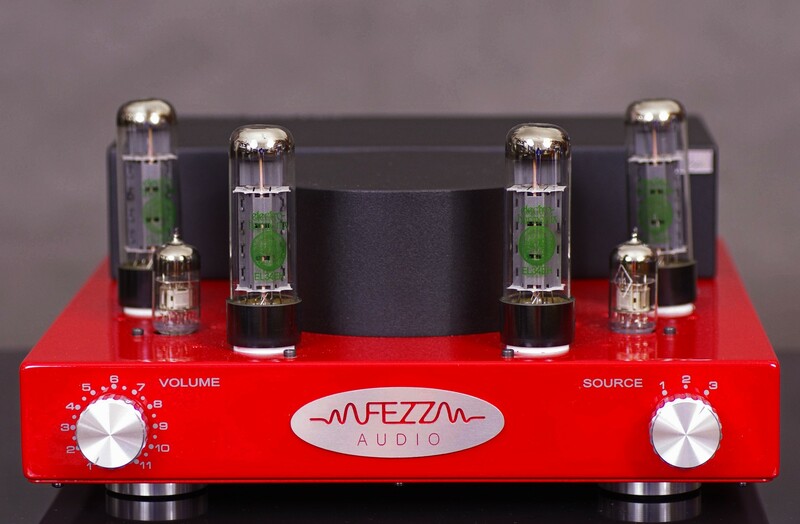 since the launch of their first amplifier in November 2015) the product portfolio of the company has grown from one to four models of tube amplifiers. 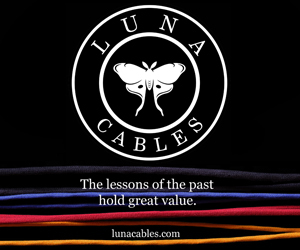 Besides, a new addition to their product offering are now brand name cables (interconnects, for the time being). Our magazine has now received a new model, which is an improved, or prestige version of the original Silver Luna, hence called the Silver Luna Prestige. 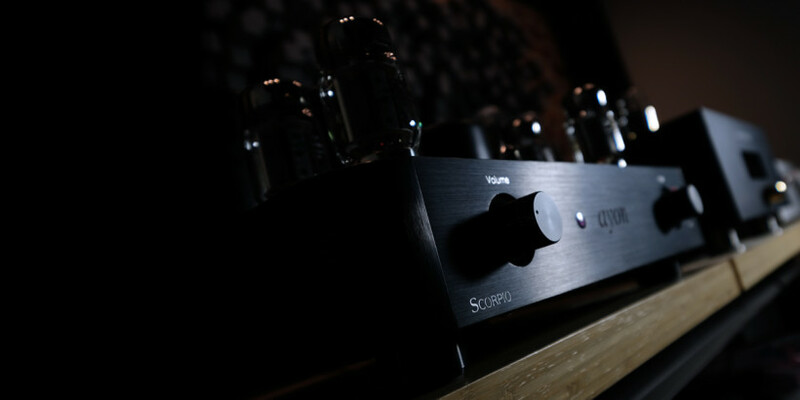 In many ways, this amplifier is similar, or even identical to the previous one, but several important modifications have been introduced, such that make it actually into an almost different device, especially from the point of view of a demanding user. 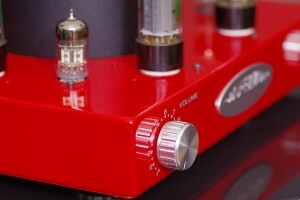 Silver Luna Prestige is an integrated tube amplifier with 35W output per channel. As for the power tubes, four popular pentode EL34 are used, that operate in AB1 Class, push-pull mode. When compared to the initial debut of the brand, to the Silver Luna, this version introduces some fairly significant changes. 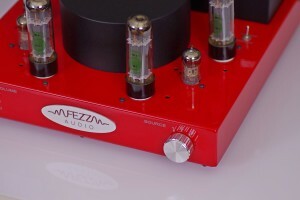 First of all, as a driving tube, one may use interchangeably the ECC83 (12AX7) or the 6n2p. 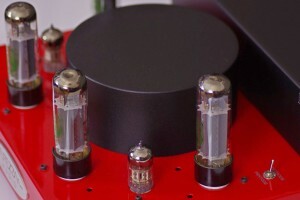 Those of you who had the slightest opportunity to play around with tubes are probably already aware as to the scale of the impact that the small signal tubes may have upon the sound of a tube amplifier. I would even say that their influence is often more significant than that of the output tubes, although it is the latter ones that enjoy a higher esteem. Providing the user with a choice means that he now may affect, (to some extent, of course) the sound signature of the amplifier. The customer receives a pair of each of the two types of signal tubes that can be used interchangeably. Caveat thereto: it must be borne in mind that replacing one type with the other must be performed with the amplifier totally switched off, and the type selection established using a small, appropriately labled, switch. The second difference is also supported by means of another small toggle switch. You may select an operating mode of the output tubes. They can work in a pentode or tetrode mode. 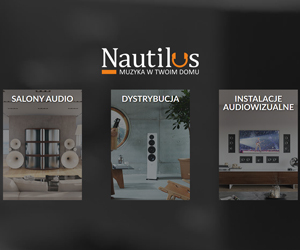 Switching between the modes for EL34s can be done even while listening to music, so it is easy to choose the right setting according to individual preferences, mood, or indeed, the music genre. Of course you can leave both switches alone and never touch them. But then maybe it would be better to simply choose the original version of the Silver Luna,thus saving up a few zlotys. 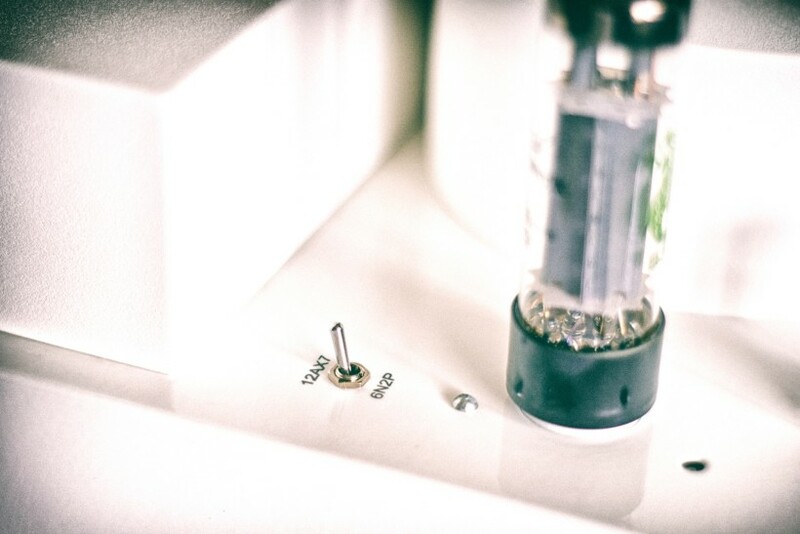 Next to the tubes there are small holes in the housing, where one finds measuring points and tiny potentiometers. This allows for the measurement of the bias current of the tubes, and if necessary, its re-adjustment. 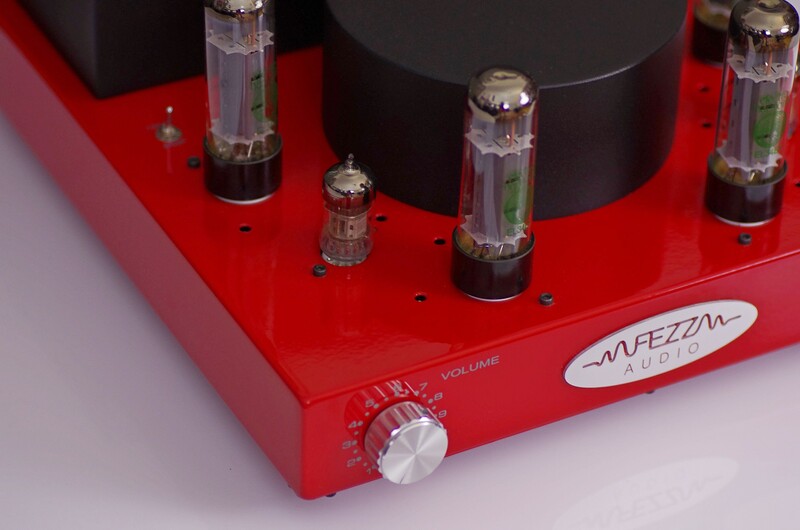 Optionally, you can order the amplifier with an auto-bias system, for an additional fee. The amplifier itself is relatively small, and it is also not very heavy. The metal, rectangular housing is very neat, no complaints raised with regards tomake & finish quality or sturdyness. 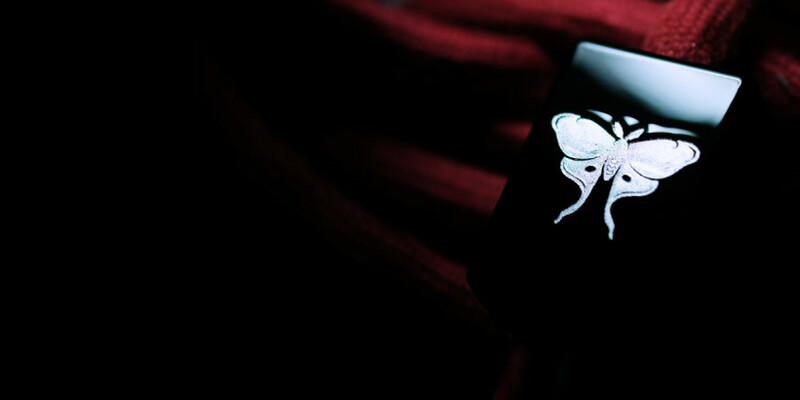 The test unit that we have obtained was red with black transformer covers, and it looked really good! The WAF is really high (my by far better half is very demanding with respect to audio and she liked the device very much). 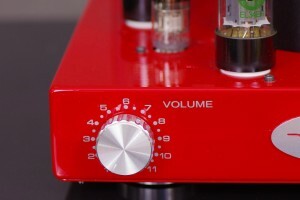 The front is furnished with two aluminum knobs – an input selector and volume control. Additionally there is a large plaque with the company’s logo. 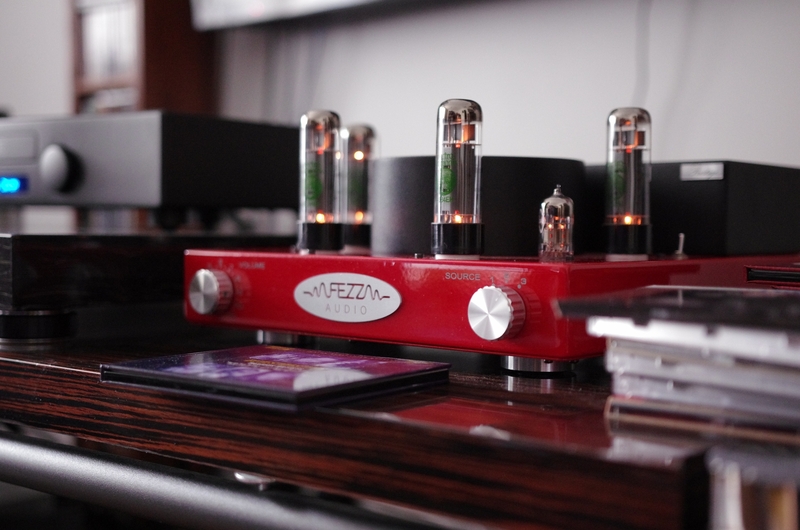 All three together give the device a touch of vintage character – after all, it’s a tube amp. At the back of the upper surface of the casing there is a large, rectangular black cover, concealing the speaker transformers. In front of that, there is a centrally placed, black circular cover, hiding the power supply transformer. The vacuum tubes are arranged in a semicircle around the front and sides of the latter element. Visually, this looks very good. 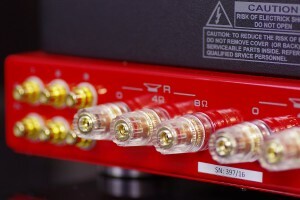 On the back one finds three sets of gold-plated RCA jacks (line inputs) and speaker terminals (separate sets for 8 and 4 Ω loudspeakers), an IEC power socket and a mains switch for the device. The unit rests upon four solid metal legs with (my guess) rubber inserts, serving to dampen vibrations. 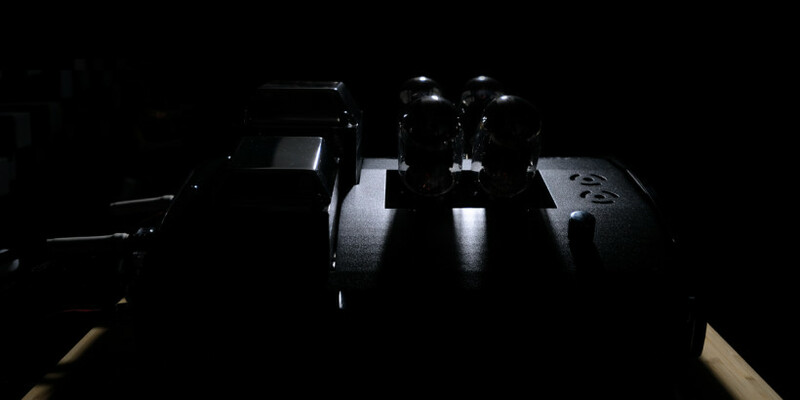 The insides of the the amplifier are arranged and mounted on small printed circuit boards, one for each channel. The device uses a semiconductor based power supply. The Silver Luna Prestige, just like her older sister, does not come equipped with a remote control as standard, but such an option is made available upon special order. 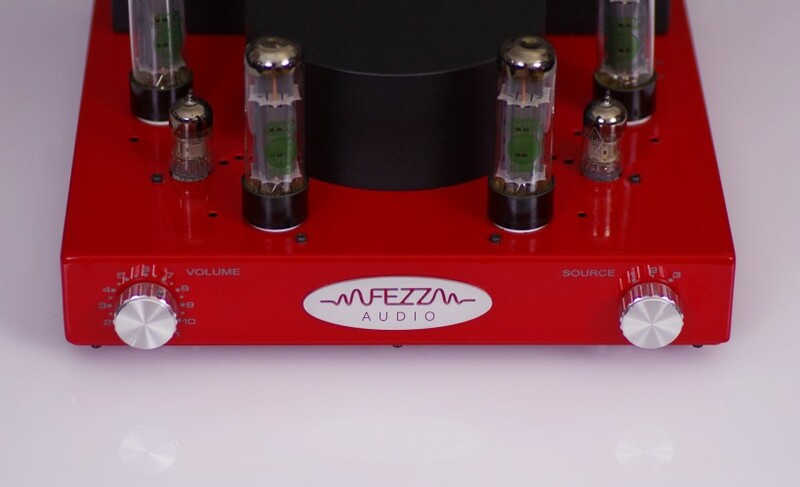 The guy’s from Fezz Audio Fezz have actually prepared for the customers a number of options, for which you have to pay extra. But before anyone becomes outraged, please note that not everybody wants these elements, whereas if they were fitted in as a standard, then everybody would need to pay for them, therefore the amplifier would cost more. 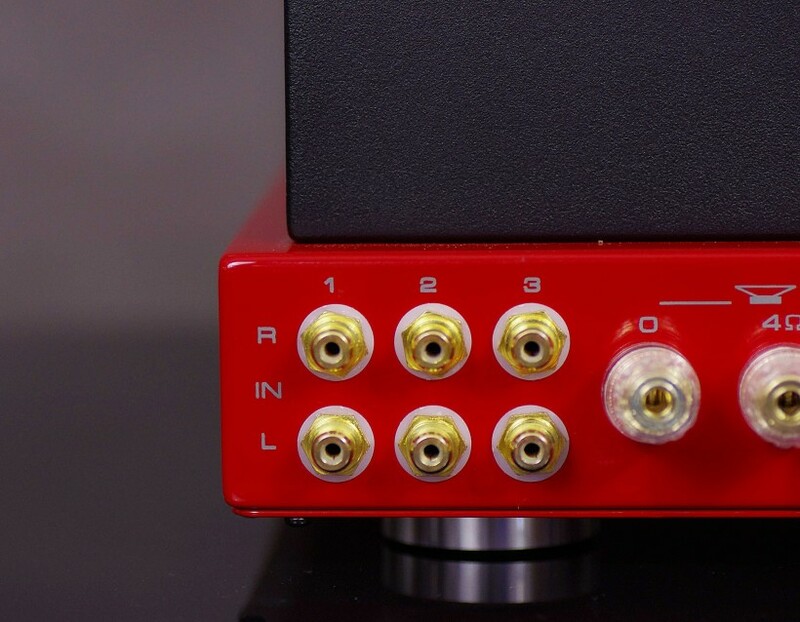 Here, you can purchase extras for your amplifier: the remote control, a cover cage for the tubes, a HT input (allowing for integration with home theater systems), and finally an automatic bias, but only if you need them. If you don’t this allows you to save some money. Ever since I started to play around with audio (in other words – I could afford my first, own, decent system) I had an instinct for making the right choices. Admittedly, I always tried to listen to each and every device at home before buying it, but there were such situations, where such an option, despite best efforts, simply did not exist. Even then, I had not run into any gross mistake. It was no different now when reviewing the Silver Luna Prestige. 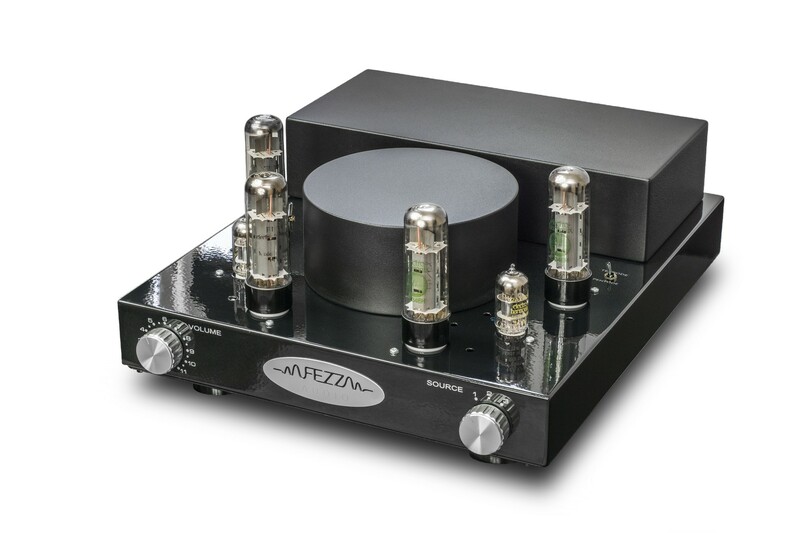 Ultimately, once you get this amplifier, just to start listening to it involves some more or less conscious choices to be made. 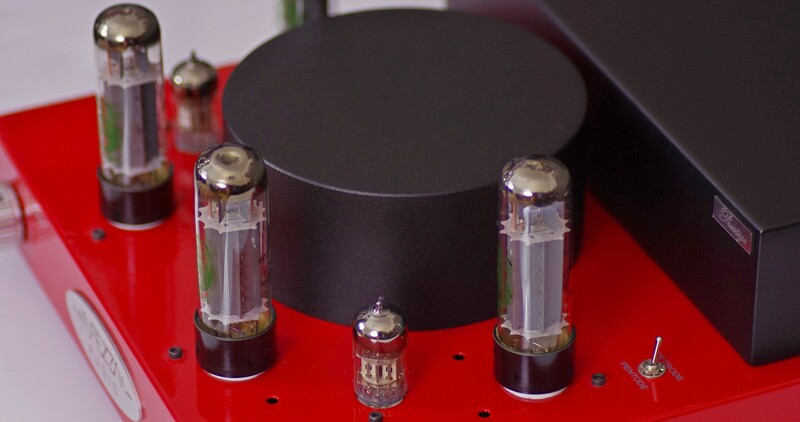 You have to decide on the type of driver tubes (initially, I chose the 12AX7) and on the operation mode of the output tubes (at first I went for the tetrode option). I connected the amplifier to DeVore Fidelity Orangutan 93 loudspeakers – easy to drive, American make, speakers dedicated to low-power tubes, whereas the source used was the JSikora turntable, the Big7 Lampizator D/A Converter, and the Hegel Mohican CD player. For starters, the tray was loaded with one of the many discs, in the creation of which (ie, the release) participated Mr. Kazuo Kiuchi (Harmonix, Reimyo and so on) – the “Blues masters” on XRCD. Aaaaaaand ? Well, pardon my French, but my jaw dropped to the floor within seconds. Here it was the EL34 tube, typically associated with a warm, fuzzy, not so fast, mellow sound, which sounded totally different than a stereotype one. It sounded vivid, energetic, with a tight, punctual bass, with great sounding electric guitars and with clean, though saturated and emotional vocals. No “warm, slow or mellow” sound. 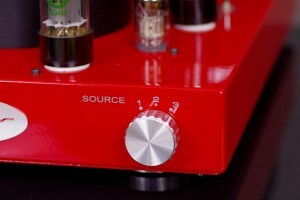 OK, maybe it wasn’t actually such a big surprise, as despite the fact I have never had the opportunity to listen to the original Silver Luna in my system, I indeed was familiar with opinions of people who described it simply as highly ‘non-at-all-vacuum-tube-ish” sounding, in the best sense of the word. Ok, I thought, so it sounds great, but what happens if I use that small toggle switch and change the operation mode from tetrode to pentode, during playback? So there I go, flip the switch and the first impression hit me even before I managed to toddle back to my chair. The music slowed down slightly, rounded up a bit, and instead of hard power slam, it now became intensly relaxing. This could be another way to listen to the blues. Not necessarily a worser way. Just different. One that may be even better when a man is whacked out after a hard day and simply wants to relax with music, and he just happens to choose the blues in order to do just that. I flipped the switch back and there I was again enjoying the stimulating, encouraging fun, tapping rhythm, rocking my head and so on. Another flick … and I reached for a glass of wonderful red wine, I fell deeper in my chair, closed my eyes, and flew off into the world of beautiful music. 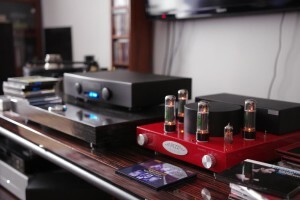 It would be perfect if only I didn’t have to get up in order to change them discs and flick that switch … Finally I decided to try some other music genre – for starters I played an album by Michael Wroblewski’ acoustic jazz trio. I quit, for time being, the experimenting with power tube operation mode and just listened how the Silver Luna Prestige plays back such well-recorded acoustic music. And once again I was very positively surprised. 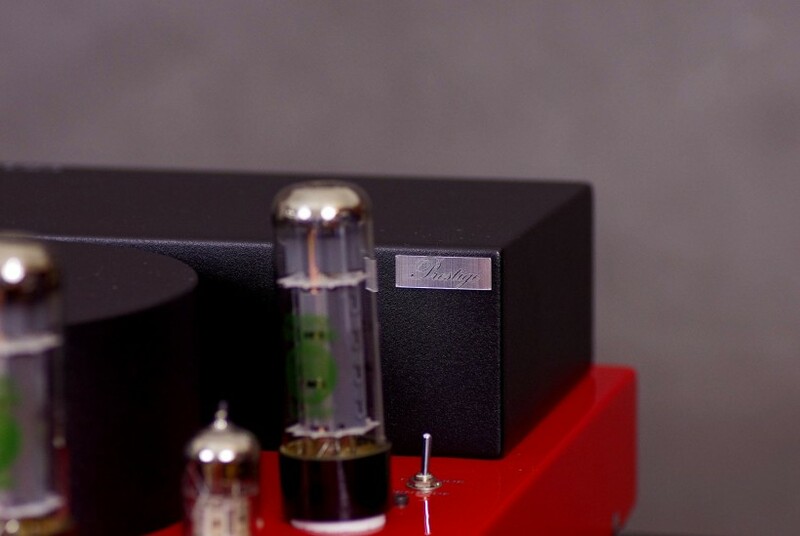 Indeed, the Prestige version already is more expensive than the original one, but it is still a relatively inexpensive amplifier. I have to honestly admit that if I had been listening to this presentation, without the prior knowledge of what unit was being used, I would have betted that it was a much more costly amplifier. 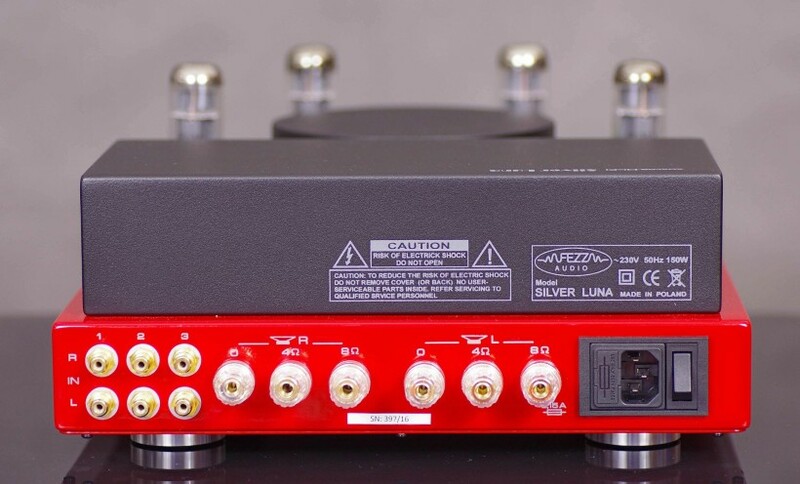 OK, so this Silver Luna Prestige amp was tested using much more expensive accompanying components, but thanks to this I was sure that there was nothing that limited the performance of the reviewed item and that the unit had a fair chance to perform at its best. And these capabilities are indeed impressive, even forgetting the price criteria. Let’s start with soundstage and imaging. We have barely a trio here, recorded at a studio, so there is no question of any “acres of space.” And that’s good, because that would be an artificial misfit. But what you do get are realistic distances between the piano, the bass and drums. The bass is usually on the right side, to the left – the piano, and as for the drums, … well, they are just soooo wide … but this is more of a sound engineer’s choice, and not something imposed by the amplifier itself. Other instruments were adequate in size, in weight and with steadily fixed location on the stage. The record beautifully captures all the decays, lots of tiny details such as fingers moving over the strings, which the Silver Luna Prestige busily showed in great detail. No shortening of the reverbs, no rounding up of the upper or lower band’s extremes, just a naturally soft, acoustic presentation without anything added by the tubes. It was impressing just how the system created the illusion of communing with really large instruments that are standing only 2-3 meters away from me. Even the drums, despite the huge size (the drummer would indeed need to have very long hands to reach from right to the left!) came out very well. The hitting of the drums was quick, vigorous, springy, and even the metal cymbals, nicely differentiated, sounded powerful and vibrant. 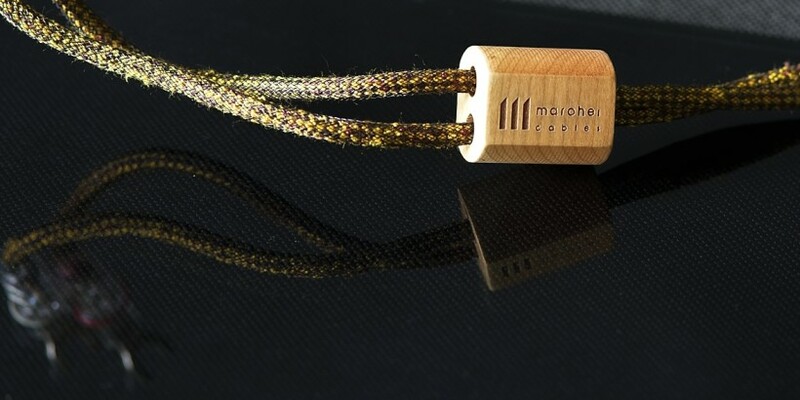 This very good differentiation indeed applies to the whole frequency band – it made the sound so colorful, so engagingly interesting, and allowed it to avoid that certain monotony often associated with inexpensive amplifiers. The sound was also beautifully open, you could “see” the air that fills the spaces around the instruments, air that vibrated and carried the sound to my ears. The sonic texture of each instrument I perceived as absolutely natural, the whole representation was smooth and coherent, but again, I’m talking here about the natural characteristics of acoustic music, and not about the “tube” effect that tube amplifiers typically imprint upon the signal, that “sugarcoats” the sound making it artificially more enjoyable. If, indeed, one were very, very insistent, a hint of a subtle emphasis, imprinted by Prestige Silver Luna itself, could be found in areas around the lower midrange and the upper bass. But frankly, I believe that this is an intentional design feature, targeted at creation of close, even intimate moments of contact with the music and the musicians. I definitely don’t mind this type of a deviation from absolute neutrality. The next disc I listened to was quite a diverse soundtrack – The Pirates of the Caribbean (At the end of the world, by Hans Zimmer, of course). So instead of a small, acoustic trio, now I listened to the full power of an orchestra supported momentarily by electronic instruments. There was a different scale, different intensity, and a different complexity of this music material. And what happened? Basically – nothing really, I mean Silver Luna Prestige seemed not to be impressed, neither stressed in any way. 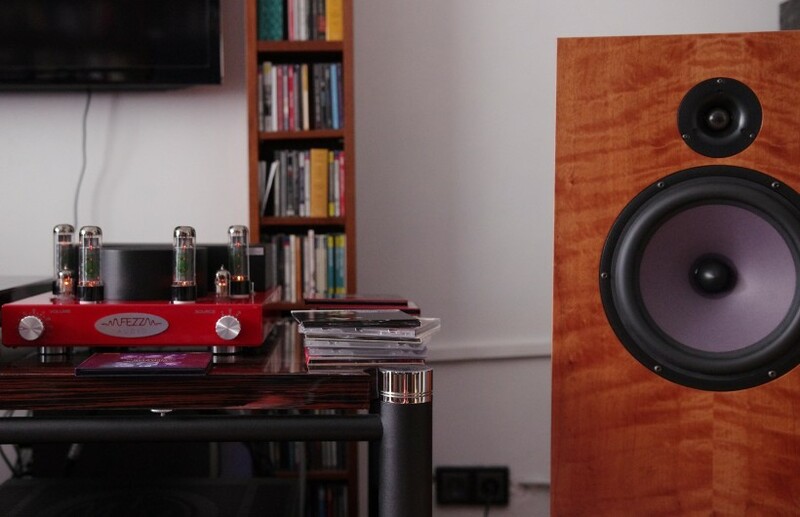 Much of the credit falls also upon the really easy-to-drive Orangutan 93 loudspeakers, but the Prestige also needed to do its job in a right way. And it did it already for the opening track, where the boy’s voice is accompanied by drums, a choir, and by effects such as chiming chains. The boy was maybe two meters away from me, I “saw” clearly how swollen with pride he was whilst singing about hoisting the pirate flag despite the drums reminding him (and me) about the upcoming execution, and the chorus that sounded ominously as if indeed constituted of real pirates (or thieves and beggars, if you follow the text). And when I heard this clittering chain I felt a strong unease, whilst visualizing those unfortunate souls chained up within it, dragging their feet with difficulty… . Yes, that’s right. That is how the Silver Luna Prestige dragged me into the atmosphere of a movie that I saw some years back – it just brought the memories of a particular scene and pulled me into it. 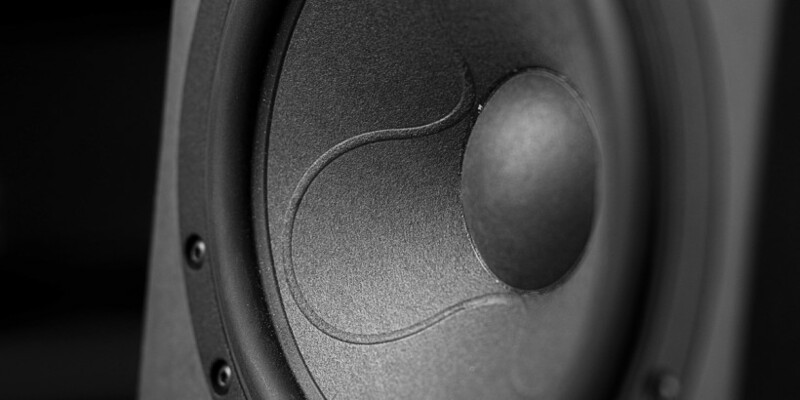 Creating such a strong atmosphere is indeed one of Silver Luna Prestige’s advantages and as it turned out, it has every tool needed to deliver it even in such cases where there is a need to present large, complex, and sometimes very dynamic music. I could not hold out too long. I just simply had to flick that switch again, whilst still listening to the Pirates. This time, my first impression told me that there was a slights shift of accent in the presentation towards the low end. The music has gained on power and richness which was obvious particularly in the most complex moments. At the same time, the lower end of the band lost just a little tad of its very tight control, as would be typical in tetrode mode. In a word – a larger slam, but slightly less controlled. That shift of balance in the lower direction also resulted in sound now appearing as a bit darker, the upper midrange and the high bands were not so open, not so “sparkling fresh” any more. The voice of the boy in the opening piece sounded perhaps even more convincing, but the chorus somehow softened, did not quite sound like a bunch of dangerous pirates. To be clear, the differences that I described here were by no means huge. When you sit around for half an hour just listening to the music, you shall actually forget about those subtle differences. At least until you get them itchy fingers again and flip the switch yet once again. The fact remains, however, that in case of the more dynamic, lively music, assuming that whilst listening to such we do not intend to fall asleep, for me sounded better whilst the amplifier was in a tetrode mode. But then again, if you are sitting down with the attitude so as to relax after a long, hard day, to rest accompanied by some quiet music, by beautiful (but preferably female) vocals, this pentode mode may be the one that will work for you better. 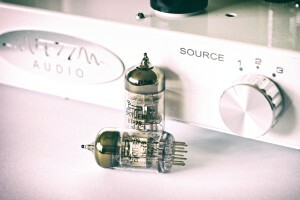 The whole above description refers to a setup with the ECC83 (12AX7) as drivers. But now it was the time to finally check that second option. 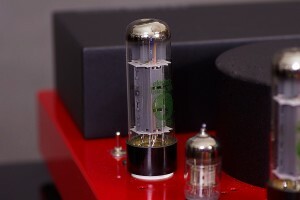 Here comparisons were not so simple any more, as it is not possible to replace tubes with amplifier powered up. One has to switch off the unit, pull out them tubes (Ouch!! Hot!! ), put in the second pair, turn on the amplifier, give it at least a few minutes to warm up again and only then start listening. So if you decide that you like one type of drivers more for most music but then you find out that the other pair is better suited to play back the 6th track on the Tom Jones’ 27th album, than it will take some effort to get the best of this particular track. But real music lovers will do anything to achieve the best possible sound, right? Putting the jokes aside, the fact is that the opportunity to shape, mold the sound according to personal preferences, or even to our current mood, within an amplifier of this price tag is an absolute rarity and a huge advantage of the Prima Luna Prestige. OK. so we swapped the driver tubes, and are now playing in tetrode mode. It just so happened, that after the tube swap, came a disc with the music from the wonderful Treme series – in a word, the essence of New Orleans in all genres, flavors and varieties. Music with 6n2p sounded softer, more ethereal. And in the case of this particular music, this version was even better, simply fantastic. From jazz, through blues, and up to jazzy hip-hop, regardless of the genre of music, there always was a lot of brass instruments and a lot of metal percussion ones. And all of them benefitted from such a little bit lighter, livelier, sometimes even a sparking playback. The whole presentation also stepped back a little bit, so instead of hanging out right in front of me, it politely withdrew and was inline with the speakers. The music now sort of slightly gained on its pace, even more of that incredible New Orleans exuberance came forward now. Even with the 12AX7, it was already difficult to remain quietly seated in the armchair, but now the desire to engage in the music, in the fun that played out before my eyes was even greater, not to say outright irresistible. A re-run of the discs as listened to whilst using ECC83 tubes confirmed these observations. On those discs, where a lot was happening in the upper part of the band, where the trumpets came, the trombones, or even the violin, I preferred the more ethereal, “lighter” version of the 6n2p presentation. But in the case of vocals, piano and double bass, the ECC83 sounded a little more fully fleshed, the music was richer. As for the double bass, there was a slightly more wood in the sound with ECC83, while the 6n2p accented the strings. But even within the realm of the same single instrument, I did not always have a fixed preferrence of one tube over the other. When musician played the bass using mostly quick plucks of the strings, the 6n2p fared more convincing, but when on the other hand he put on more of the reverbs, or used the bow, the ECC83 was my choice of preference. With rock music, or in the case of large scale soundtracks or classical music, I preferred the version with the ECC83, essentially in every case. Have you noticed that I omitted one element of the test? In the case of the 6n2p as a driver tube, I have yet not written anything about the comparison of tetrode vs. pentode modes. Why? Well, because with the 6n2p option, the switch-flicking gave virtually no difference. On the first day I thought that it was a matter of weather / mood / humidity / pressure / fatigue or anything else, because all the other changes I have heard clearly, and indeed, here too there should be some. But on the next day, and then yet another, nothing has changed for me. I don’t know. Maybe my hearing is not that good, or maybe the differences were too small to be noticed, or simply maybe I enjoyed the Silver Luna Prestige playback too much to pay any attention to the insignificant minor deviations in sound when I changed the mode. Anyway, that’s why this issue has no separate paragraph devoted to it. Well, actually, herewith it does, but it doesn’t tell you much about it. Whilst assessing a product, one can not disregard its price. And that’s why I shall simply say that I’m impressed with the Silver Luna Prestige. It is in my opinion a fantastic amplifier. Sure, there are better ones out there, but not at this price level! And its not just about the tube competition. 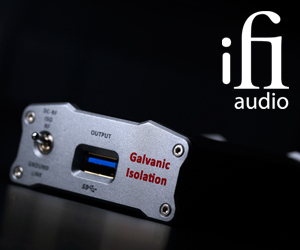 All you need to do is to choose a set of not-too-difficult-to-drive loudspeakers, and this small amplifier will wipe out many solid-state competitors, even if you like to rock. And yet here you still have the additional ability to match the sound presentation to your taste, mood, or material being reproduced. What’s more, you can always play the swapping game, and the replacement of these tubes will not turn out to be so terribly expensive, as in the case of some triode based amplifiers. Neither the EL34, the ECC83 nor the 6N2P, even NOS versions, are amongst the most expensive tubes, and their availability is also quite good. Finally, you put on your shelf a device that is not too large, looks graceful, very nicely made and finished, one that your family members will easily accept. Whats more, you have a Polish (!) product, instead of a similar priced Chinese one, and I’m sure that the former will perform better than the various inventions from the Middle Kingdom. 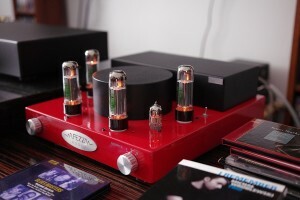 The list of pro’s is indeed a long one, but at the top is the most important factor, the juicy, colorful, listener engaging playback, a playback which held captive for long hours the here undersigned fan of various “swanky” SET’s (Single Ended Tube amplifiers) with gigantic price tags. If that does not convince you to listen to this integrated amplifier, then I do not know what else can. A big applause for the Lachowski guys for this great product. 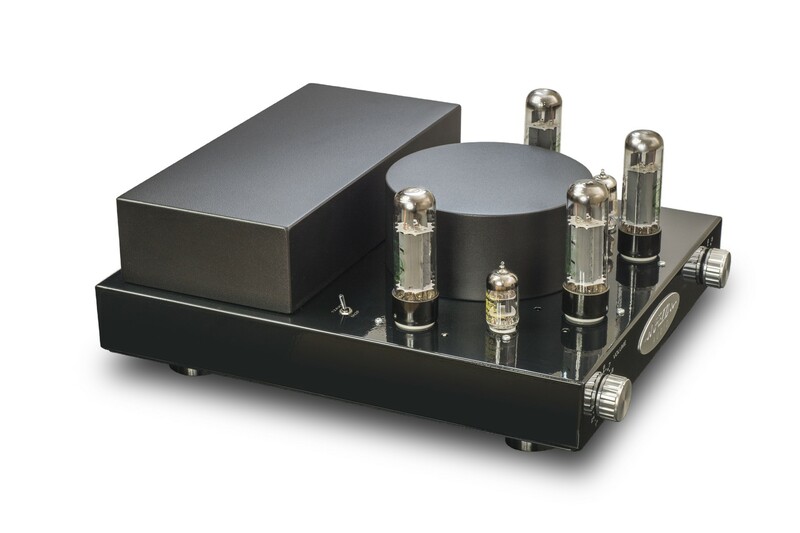 I am looking forward to listening to another upcoming product, an amplifier based on my personal favourite triode, the 300B. Which I hope will happen soon.